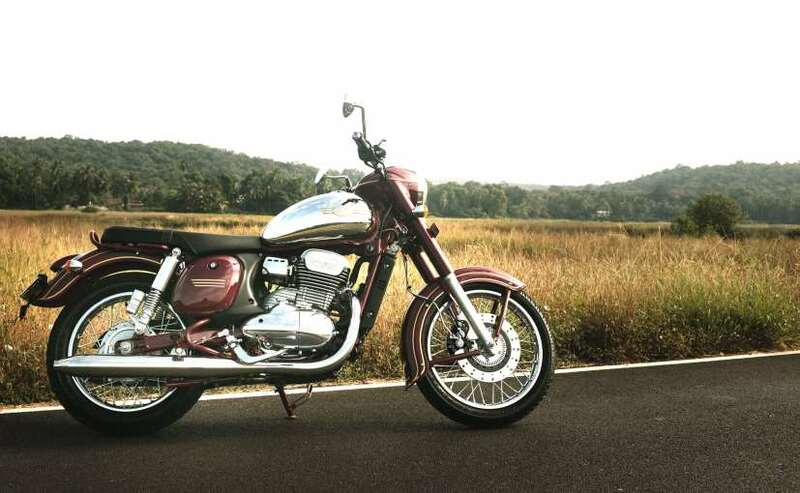 Both the Jawa and the Jawa Forty Two have been priced quite aggressively and come equipped with quite a few modern features. We find out where do the bikes stand against competition purely based on pricing. Jawa Motorcycles has finally made a comeback to India with the launch of two new motorcycles - the Jawa and the Jawa Forty Two. Launched at a starting price of ₹ 1.55 lakh (ex-showroom, Delhi), the new Jawa bikes have been priced quite aggressively and are expected to give some tough competition to the likes of the Royal Enfield Classic, the Thunderbird, and even the Bajaj Dominar, which is also positioned as a touring motorcycle. All the motorcycles are priced quite similarly, and we are here to tell you where these bikes stand against each other purely based on pricing. 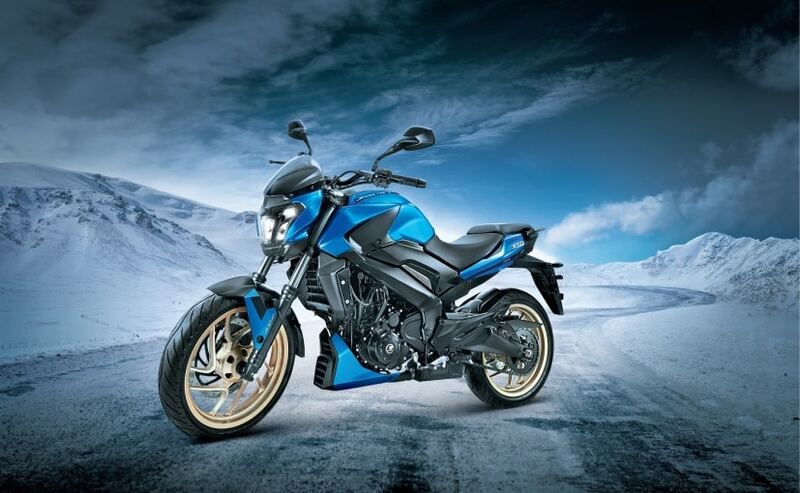 Staring with the newest entrants in the market, as already mentioned, the entry-level offering from the Mahindra-owned two-wheeler maker will be the Jawa Forty Two. A more modern-looking offering from the company, the Jawa Forty Two is priced at ₹ 1.55 lakh (ex-showroom, Delhi) and is more like cruiser motorcycles and closest rival to the Royal Enfield Thunderbird 350, and possibly even the Bajaj Dominar. In comparison, the more retro-looking Jawa is priced at ₹ 1.64 lakh (ex-showroom, Delhi) and borrows most of its styling cues from the classic models. 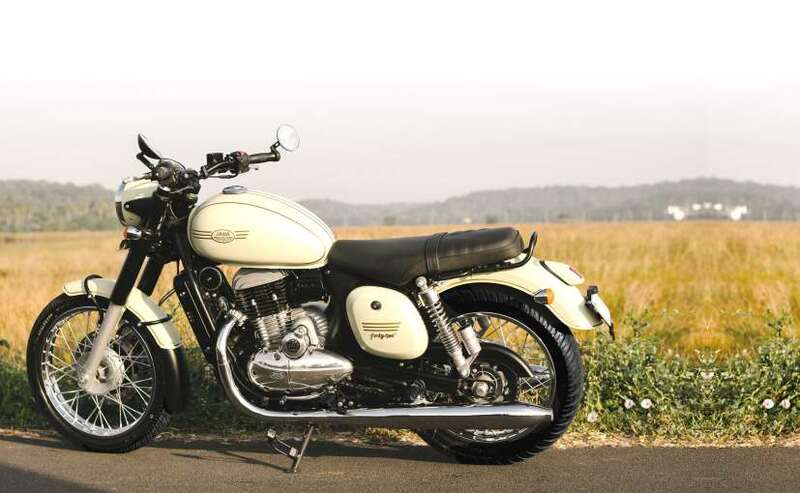 This particular model is more suited to compete with the Royal Enfield Classic 350. Both the bikes are powered by a 293 cc single-cylinder, liquid-cooled engine that is tuned to produce 27 bhp and 28 Nm of peak torque. The motor comes paired with a 6-speed gearbox. 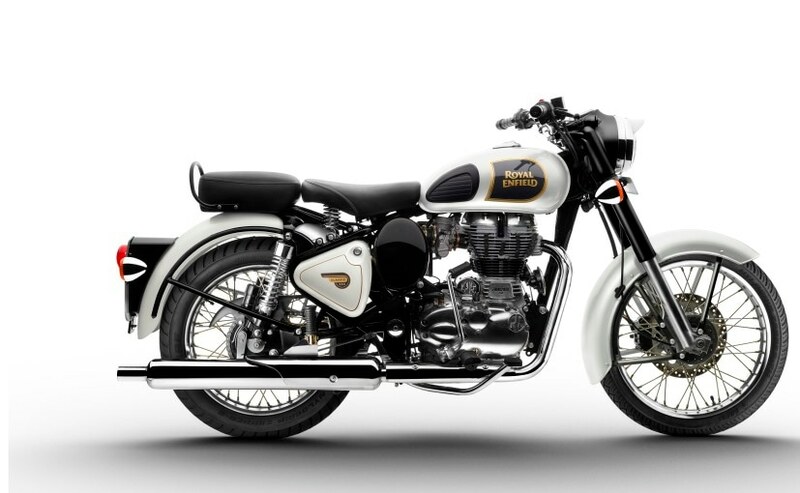 In comparison, the Royal Enfield Classic 350 is priced at almost ₹ 1.40 lakh, while the Thunderbird 350 is priced around ₹ 1.50 lakh (both ex-showroom, Delhi). 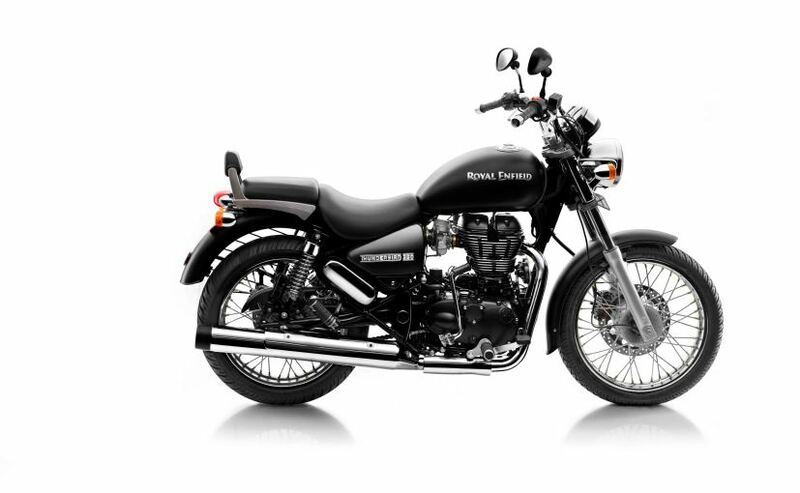 Certainly, this makes the Royal Enfields cheaper than the new Jawa bikes. Both the motorcycles are powered by a 346 cc single-cylinder, air-cooled motor tuned for 19.8 bhp and 28 Nm of peak torque. The motor is paired with a 5-speed gearbox. On the other hand, the Bajaj Dominar 400 is priced at ₹ 1.64 lakh (ex-showroom, Delhi), similar to the Jawa bike in terms of pricing. The bike is also the most powerful among all five motorcycles in this list. Powered by a 373 cc single-cylinder, liquid-cooled motor tuned to produce 34.5 bhp at 8000 rpm and 35 Nm of peak torque at 6500 rpm. The motor is paired with a 6-speed gearbox and also gets a slipper clutch unit. 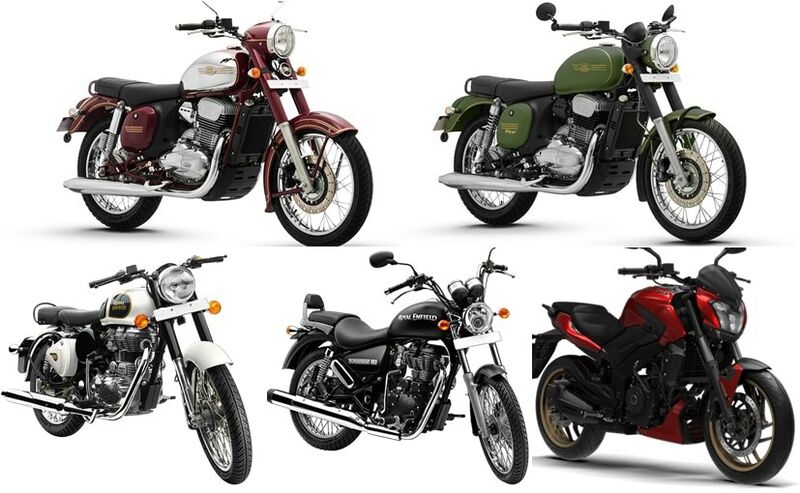 Solely based on pricing, the Royal Enfield bikes are clearly the cheapest among all, while the Jawa and the Dominar are the most expensive among all. Having said that, the Dominar is also the most powerful on paper and is also equipped with a host of modern features like slipper clutch, dual channel ABS, LED headlamps, and more. Bridging the gab is Jawa's more modern offering, Forty Two, which makes the most sense, It comes with additional features over the Royal Enfield bikes like liquid cooling, single channel ABS, and few others. That said we still have to test the bikes against each other in real world conditions to to find out which one is the best.